Give your guests a fantastic experience and book CHVRCHES to put on a performance to remember at your event. We are a booking agent for CHVRCHES and would be delighted to arrange for them to make the special occasion a success. A unique fusion of synth-pop and electronica with a distinct indie flair, Scottish group CHVRCHES have carved out a name in the industry with a number of fresh and vibrant tracks. 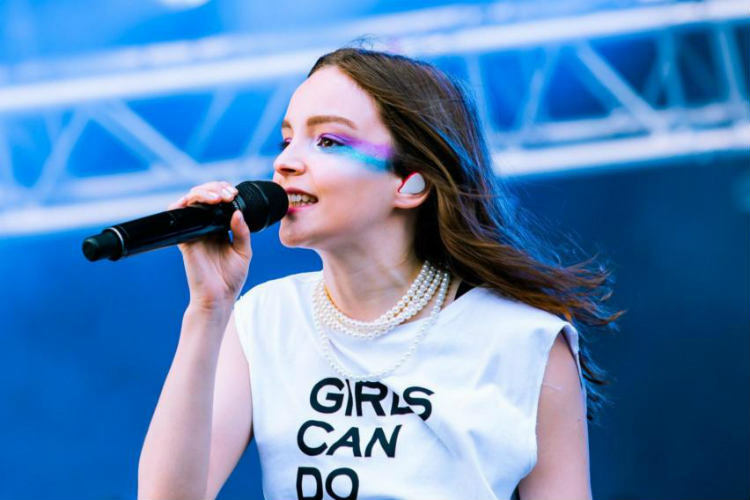 CHVRCHES first formed in 2011 when Iain Cook encountered Lauren Mayberry and her velvet vocals when producing an EP for her band at the time, Blue Sky Archives. Cook, already friends with keyboardist and vocalist Martin Doherty, invited Mayberry to provide some vocals on a music project they were working on. Their initial sessions went so well, with the group complimenting each other’s styles and falling into natural harmony with one another, that it was not long before CHVRCHES was born. As the group developed and began writing new material the members fell into their respective roles, with Mayberry becoming lead vocalist while Cook and Doherty remained on keyboards and backing vocals. They decided on the name CHVRCHES with the ‘v’ spelling to differentiate themselves on Google, but also as a nod to the witch house genre of music. Their aim was to have a band name with a strong presence which could be open to interpretation. The band released their debut single in 2012 when they posted the song on the blog of boutique record label, Neon Gold Records. The track, ‘Lies’ was a hit and found its way to Radio 1 and Soundcloud with major airplay. Stunned by its success, CHVRCHES found themselves under demand to perform live. Nervous at the idea and pressure of their first gig the band decided to play under a false name (Shark Week) so they could give it a trial run and work on their performance before being made public. They maintained the ideology that they were an equal group despite pressure from A&R representatives to push Mayberry as the frontman, staying loyal to their independent mind-set. 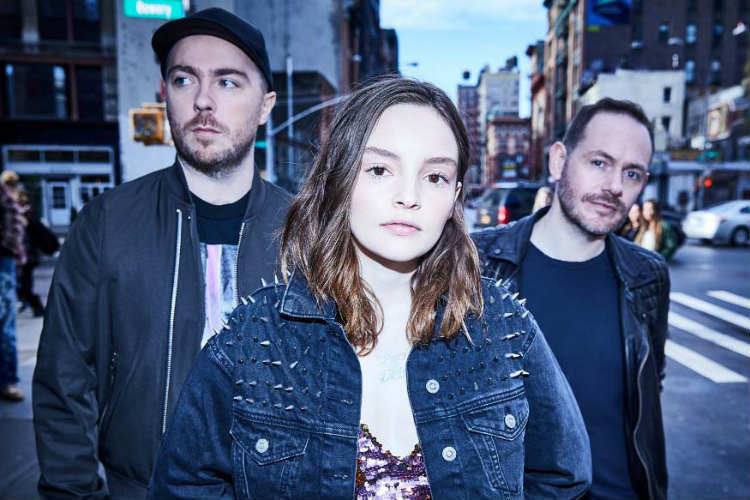 CHVRCHES created a variety of music for their listeners before releasing their official debut single ‘The Mother We Share’ which was a hit with their fans and received over 32,000 downloads at the time of its release. 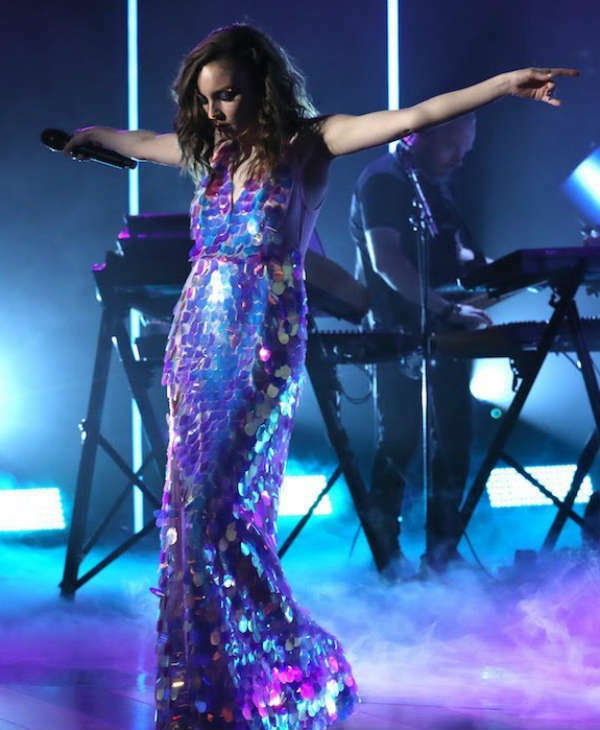 It was not long before CHVRCHES received a contract with Glassnote Records in 2013 and went on a successful promotional tour, even performing songs on major US chat show Late Night with Jimmy Fallon. 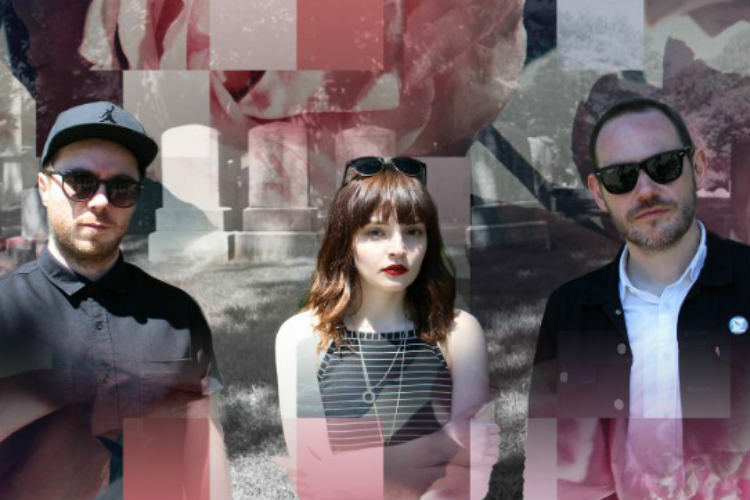 CHVRCHES debut studio album, ‘The Bones of What You Believe’ hit the airwaves in September 2013. The record was a great success, with a cavalcade of positive reviews and overall scoring 80 on Metacritic. CHVRCHES second album, titled ‘Every Open Eye’ followed shortly after in 2015, with the leading singles garnering a wealth of attention on the lead up to its release. It was another critically acclaimed hit and grabbed spots on over 22 of various publication’s end of year ‘Best Of’ lists. Their third and most recent album was produced by Grammy award winning producer Greg Kurstin and, after an exciting variety of social media posts teasing their new music, ‘Love Is Dead’ came out in May 2018. Radio 1 DJ Annie Mac named the first track from the record; ‘Get Out’, as her hottest record in the world. With their meteoric rise to fame CHVRCHES have had an astounding career, collaborating with famed musicians such as Hayley Williams from Paramore and popular EDM artist Marshmello on their recent track ‘Here With Me’. The sensational synth-pop band have been fuelled forward with praise from top publications, blogs and fellow artists, with Neon Gold calling them “A godless hurricane of kinetic pop energy”. 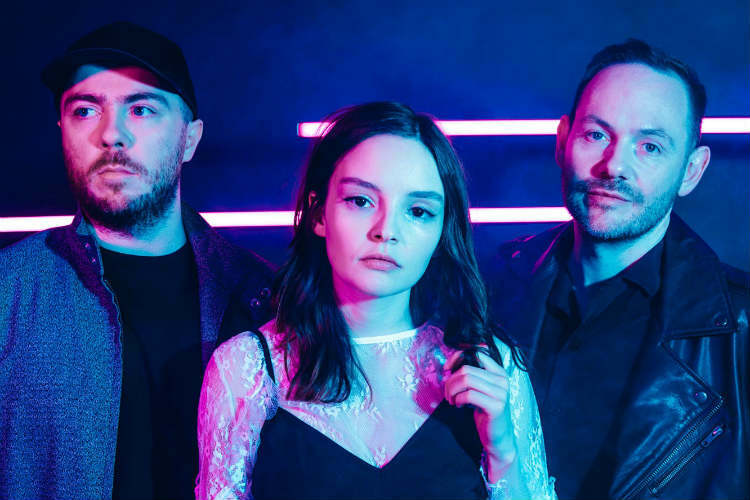 CHVRCHES have been nominated for several awards including two NME awards, A BRIT for Best Breakthrough Act and two SAY Awards for Scottish Album of the Year. They were also placed fifth on the BBC Sound of 2013 poll. To ensure your event is an electric haven of vibrant music and brilliant live performances, book CHVRCHES to headline! We are a top booking agent with knowledgeable, attentive and experienced account managers who would be more than happy to help you book CHVRCHES to entertain your guests. You are sure to be the talk of the town if you book this dynamic band to take to the stage, as a booking agent for CHVRCHES just get in touch with Contraband Entertainment to book them for a spectacular event.